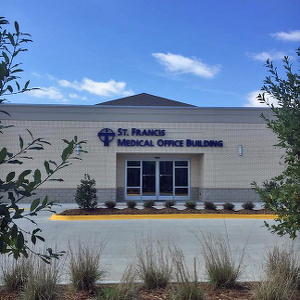 Lincoln Builders recently completed another fine project for St. Francis Medical Center (SFMC) - the Ruston Clinic at 1200 Celebrity Drive. This new 11,788 sq.ft. facility is the first SFMC campus in Lincoln Parish and provides lab, imaging, primary care, pediatrics and urgent care services. Lincoln Builders is pleased to have once again been teamed with SFMC and architects Bradley-Blewster & Associates on this successful project.